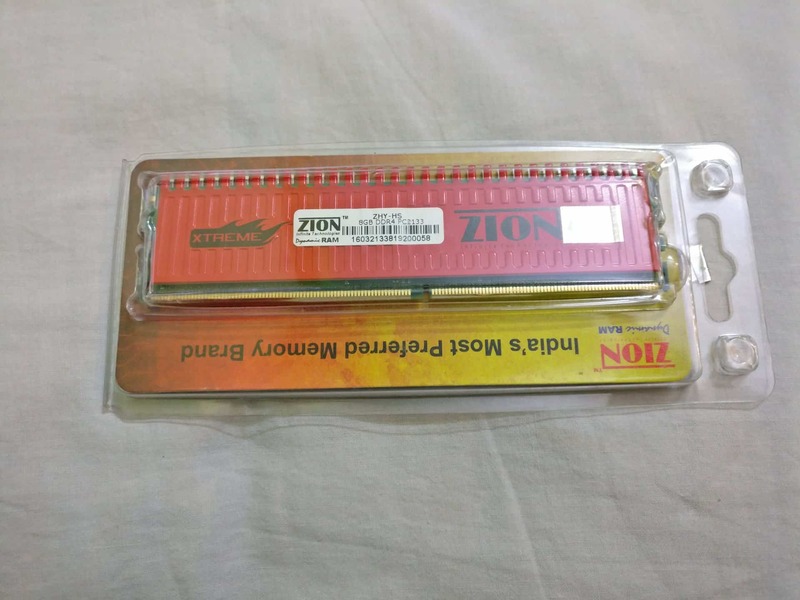 Zion has always been a leader among manufacturers of RAM modules for PC & Laptops, for both consumer and enterprise users. In the last couple of years, the popularity of high end games & heavy processing software has caused a knock-on-effect, creating a demand for development of PC components at a very fast speed. The RAM is a key component along with CPU to deliver high end performance. The latest series of RAM, Double Date Rate Generation 4 aka DDR4 is becoming more popular since the last few months. 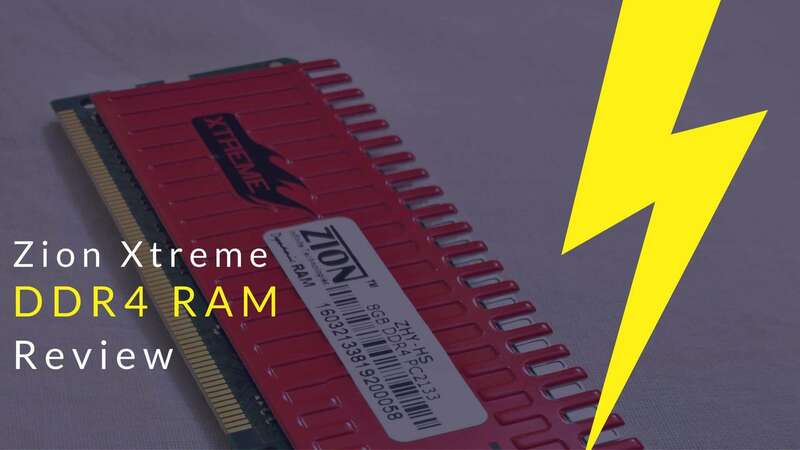 Lets checkout the recently launched, ZION Xtreme 8GB DDR4 2133 MHz RAM. ZION Xtreme 8GB DDR4 2133 MHz RAM is a step up by Zion for gamer & graphic designers to pump up their PC configuration. Zion Xtreme DDR4 RAM consumes less power, enhancing the quality of signal transfer. Like previous models, Zion Xtreme flaunts a similar design. The red color gives it a fierce look, overall, making it more appealing. 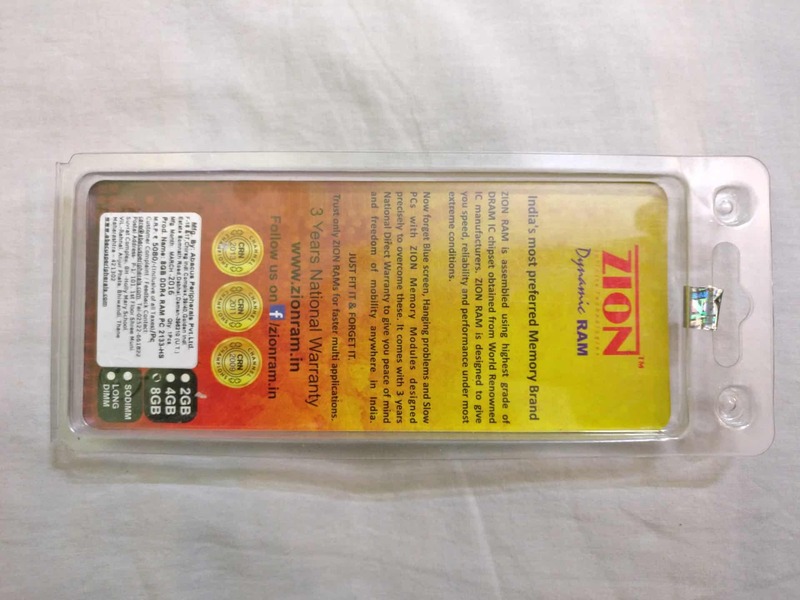 Zion Xtreme 8GB DDR4 RAM comes with in inbuilt heat sink for better & more efficient cooling. The packaging is similar to its siblings of previous generations, clear plastic with paper inside and the ram being clearly visible. The backside has got some information about the brand & the product. The heat spreader on RAM module looks like a comb. Made up of Aluminum Alloy, these RED heat spreaders are a bit fragile and might bend while inserting or removing the module. There should be an extra care when you are trying to clean or change RAM slots to avoid any damage to these hest spreaders. The thickness of whole module is only 6-7 mm. There should no be any issue in installing 2 or more modules in the consecutive slots. Once installed, the BIOS detects the RAM without any manual settings. We tested this RAM to do some high image processing jobs in Photoshop & Corel Draw, watching HD movies and other regular takes like Backup RAM performance can also vary according to the PC configuration. The results of the benchmark tests were decent too. The RAM created no issue while testing, the comb-like heat spreaders makes the module almost invisible when installed on the motherboard. The ZION Xtreme DDR4 2133MHz RAM comes with 3 Years of Domestic Warranty. You don’t need to carry the proof of purchase to claim the warranty. 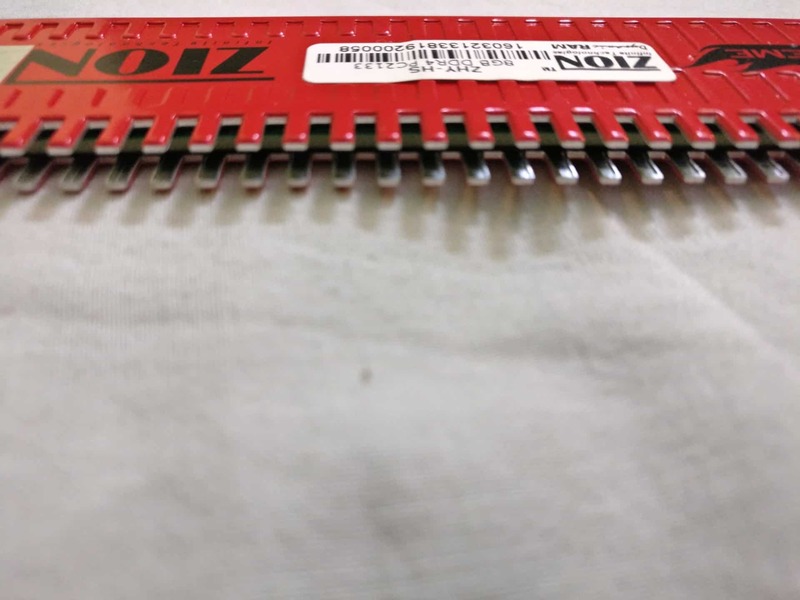 As ZION has always provided reliable products, this ZION Xtreme DDR4 RAM is a wonderful addition to the great family line by ZION. The ZION Xtreme 8GB DDR4 2133 MHz RAM performs amazingly for even heavy processing requirements. 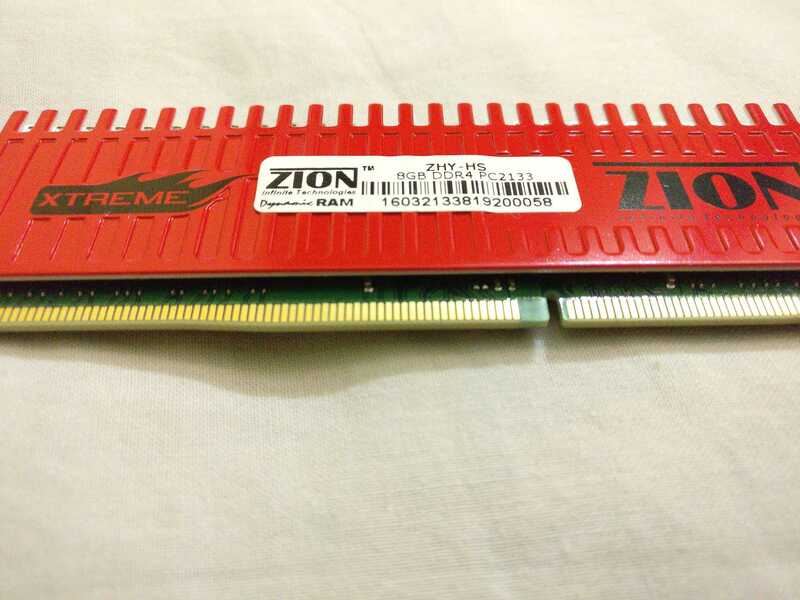 Priced at INR 4690, the ZION Xtreme 8GB DDR4 2133 MHz RAM is worth of your penny. Previous articleZenFone 3 Review – When Beauty Meets Tech, the Result is Outstanding!